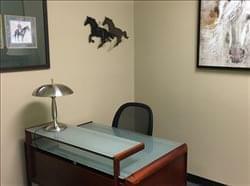 Find My Workspace lists over 95% of the executive office suites market in Lexington (Kentucky). Simply click Request Quote to check pricing for one office, or Add to Basket for multiple offices. This center is located between Alumni Drive and Tates Creek Road on the southeast side of Lexington, approximately one mile from New Circle Road, providing easy access all of Lexington’s major corridors. The University of Kentucky campus is also close and minutes from Commonwealth Stadium (Kroger Stadium). The location is open, supportive, and affordable, without long-term leases, completely turn-key without hidden costs. Low-cost collaborative workspace for small businesses, entrepreneurs, freelancers and the like. All monthly packages include a complimentary digital mailbox. To obtain information for your selected Kentucky Executive Office Suites, please tick the "Add to basket" box for each office you prefer and complete the form below. We will then send a detailed report via email.